5-ply construction; 18/10 stainless steel interior, followed by two layers of aluminum alloy which sandwich a pure aluminum core, induction capable magnetic stainless steel exterior. 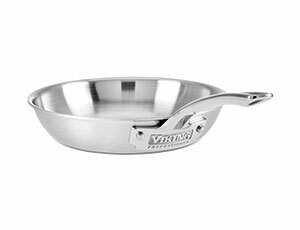 The Viking 5-Ply Professional Stainless Steel Skillet is designed for searing, browning and pan-frying everything from eggs to meats. 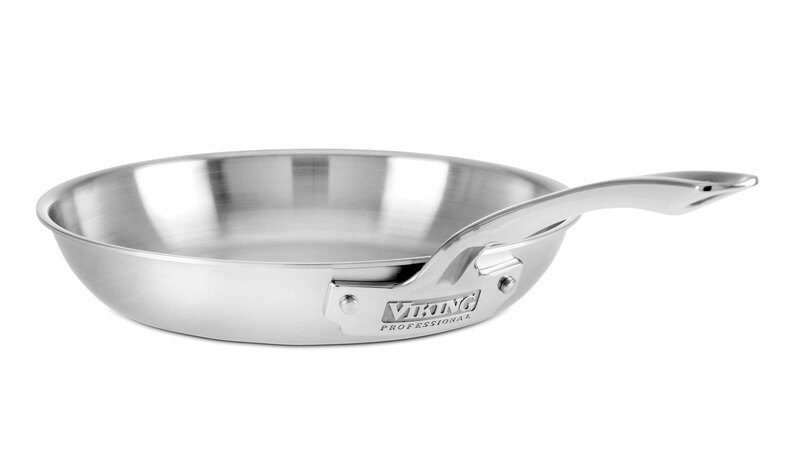 Viking 5-Ply Professional Cookware features an elegant satin finish and five layers of metal. 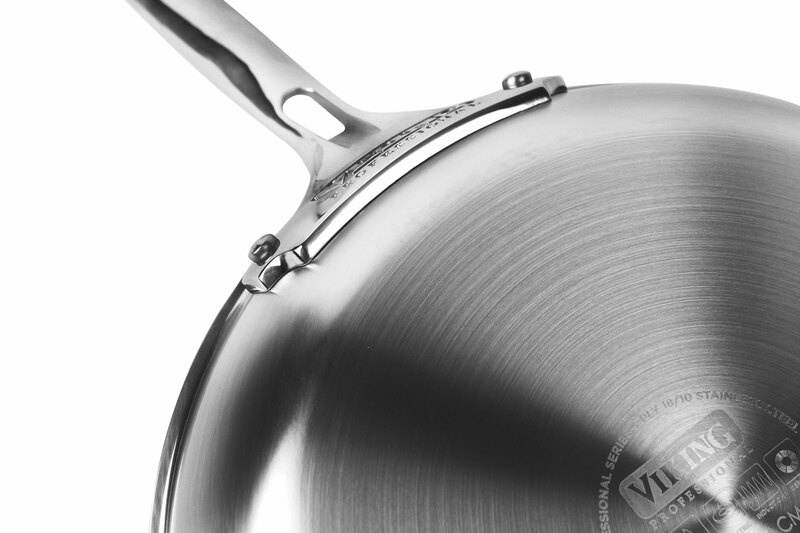 The 5-ply construction maximizes heat transfer and reduces energy usage to deliver superior cooking performance. Each layer of metal is created to provide durability and efficiency. 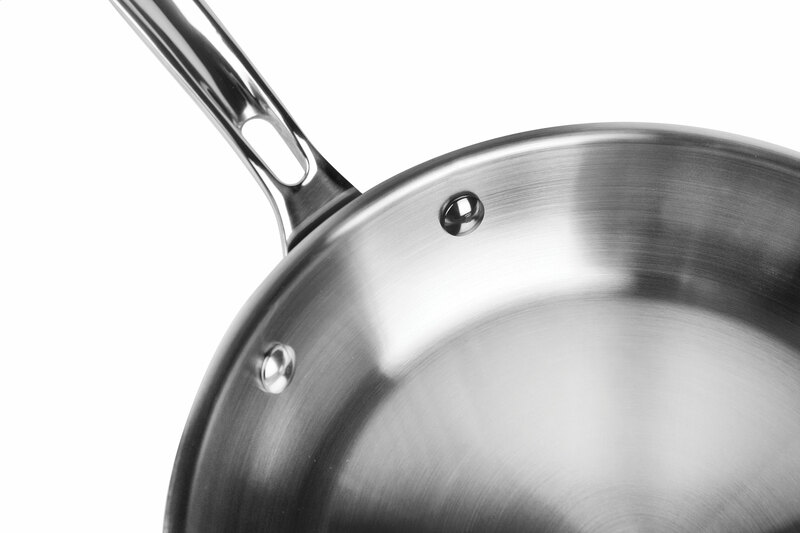 The exterior layer is a magnetic stainless steel that makes the cookware suitable for induction stove tops. The next layer of aluminum alloy bonds to the middle layer, which is pure 3004 aluminum. The fourth layer is an aluminum alloy bonded to the interior 18/10 high-grade stainless steel. Together, these five layers work in unison to transfer heat quickly and evenly while using less energy to achieve desired cooking temperatures. 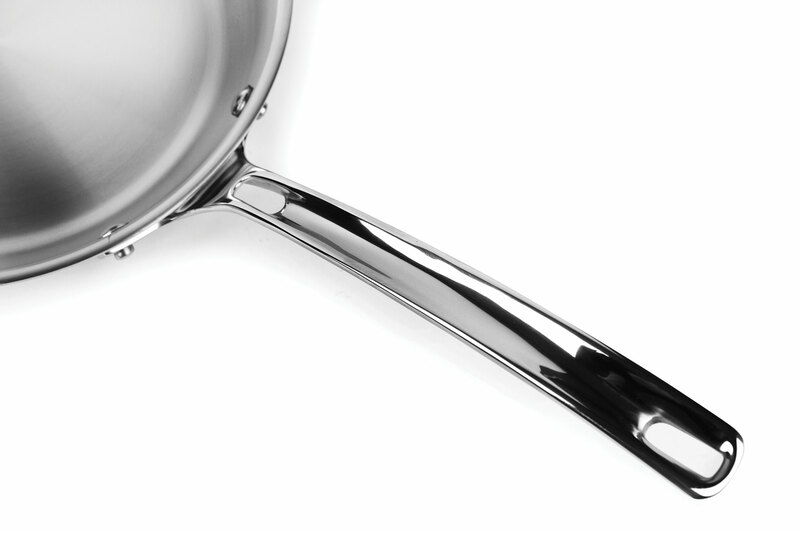 The middle layer of pure aluminum is the key ingredient to the efficiency of this cookware as aluminum is one of the most conductive metals used in cooking. 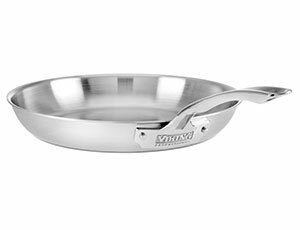 The aluminum core will transfer the heat evenly through both the bottom and sides of the pan, maximizing the utility of all of the cooking surfaces. The non-reactive and non-porous inner layer of stainless steel combines with the efficiency of the core to make an ideal cooking surface that is easy to clean and sanitize. The 5-ply construction makes this cookware stove, oven and grill friendly. 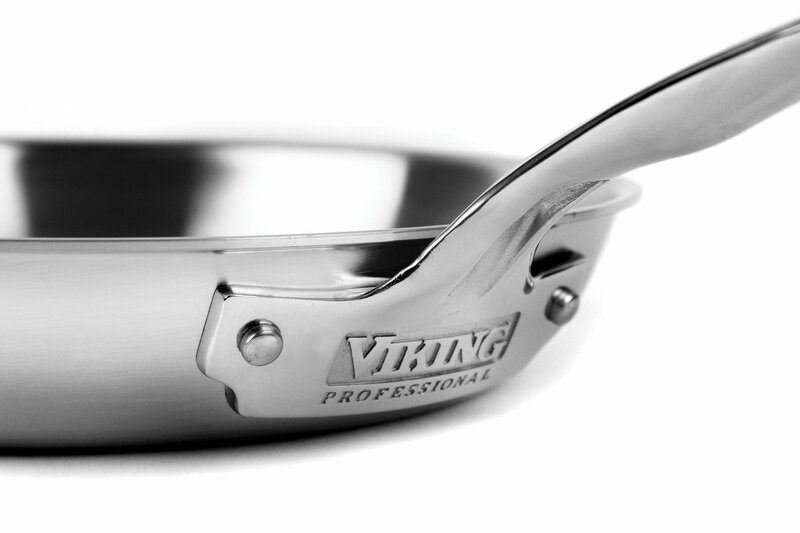 Viking designed stay-cool handles to be ergonomically friendly, making the cookware more comfortable to hold and maneuver. Handcrafted in the USA with a lifetime warranty, dishwasher safe. 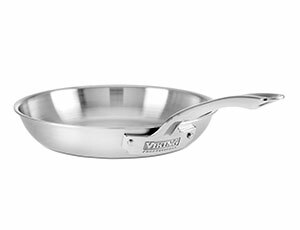 3 distinct layers of aluminum create a solid core that is sandwiched between layers of stainless steel to deliver even heat throughout the bottom and sides of the pan for consistent results whether sauteing, searing, or frying.